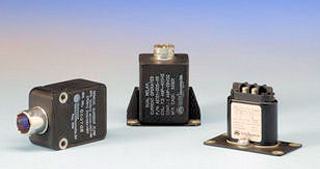 Current Sensor and AC Current Sensor Products - DARE Electronics, Inc.
Current sensors are designed to monitor the presence or absence of AC or DC current and are available in an assortment of standard & custom models with hermetic or gasket seal models designed to withstand severe environmental conditions. Using internal electronic circuits to detect, monitor or sense AC or DC current, DARE current sensors and monitors can open or close a circuit when a certain pre-set over or under current condition exists or the current falls outside the specified current range. Ask for detail bulletins or give us your exact special requirements.